Laura Mize is a pediatric speech-language pathologist who specializes in treating young children, ages birth to three, with communication delays and disorders in her private practice in and around Louisville, Kentucky. She earned a B.S. in Communication Disorders from Mississippi University for Women and an M.S. in Speech-Language Pathology from The University of Southern Mississippi. 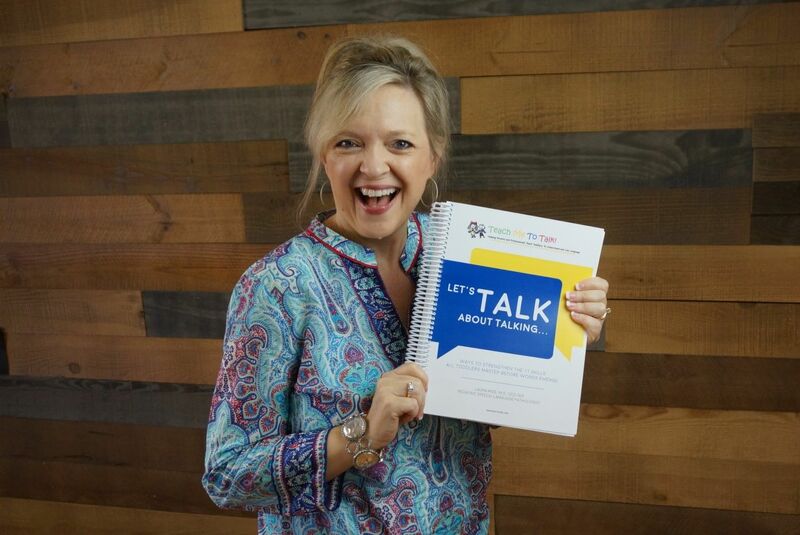 Laura holds a Certificate of Clinical Competence from the American Speech and Hearing Association (ASHA) and is licensed in the state of KY.
Laura founded and authors the website teachmetotalk.com, hosts a popular weekly podcast, Teach Me To Talk: The Podcast, and has authored training materials for parents and professionals both in the USA and internationally. Her DVDs and treatment manuals are used by early intervention professionals and speech-language pathologists in graduate training programs and continuing education conferences in the USA, Canada, South Africa, Hong Kong, Singapore, Israel, Australia, New Zealand, Zambia, Ireland, and the United Kingdom. She is frequently invited to speak at state speech and hearing conventions and to groups and organizations. When Laura is not rolling around on the floor with her little clients, speaking, or producing another project, she is at home with her husband, Johnny. They have 3 grown children. She is too tired to have any hobbies!